Natural Diamond Gemstones and Custom Diamond Jewelry. Featured Diamond limited-time offers. Only 518 gems left. Romantic in history and symbolic of love, diamond is of course the most famous, popular, and hardest of all gemstones. Diamonds were reputed by the Greeks to endow the wearer with purity, love, and joy. The diamond is considered the greatest of stones, revered throughout the ages for its great beauty, and strength, and also for its powerful positive spiritual and physical influences. The diamond is said to enhance the wearer with charm and beauty. Physically it strengthens the kidneys and reproductive organs and gives protection in severe disease. The ancient Romans believed that the diamond, when worn on the left arm, next to the skin, would give the wearer bravery and daring. During the Middle Ages Queen Elizabeth I was given a diamond to ward off the plague. The diamond is particularly lucky for Aries people when worn on the left side of the body. Diamond rates a 10 on the Mohs scale of hardness, which means that it is resistant to scratches. Diamonds are also very tough and extremely resistant to heat and chemicals and they do not easily break, chip or crack. Some diamonds can display a visible light called fluorescence when exposed to an ultraviolet light source. This fluorescence will be measured as inert, faint, medium or strong. Blue fluorescence is most common, however diamonds can also fluoresce white, yellow, and orange. At Multicolour.com, every diamond is certified conflict-free, assuring you that diamond inventory was procured through legal sources. In compliance with the Patriot Act, the Kimberly Process, and various United Nations resolutions, the diamonds sold on Multicolour.com have been obtained using legitimate means. 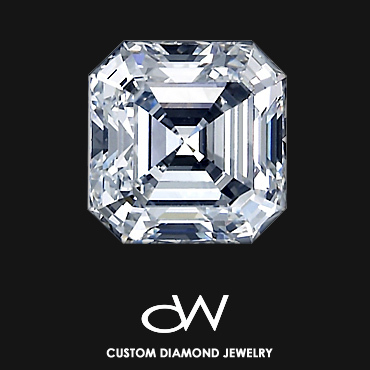 Looking for one of a kind custom diamond jewelry piece? Please find your Diamond and visit our online jewelry workshop. Our approach to custom jewelry highlights the qualities of each individual gemstone to create a personalized design that enhances and respects the integrity of the stone. 1-646-448-0359 in USA or drop us an email and we will get back to you within 6 hours.